Agent-based simulation (ABS) represents a paradigm in the modelling and simulation of complex and dynamic systems distributed in time and space. Since manufacturing and logistics operations are characterised by distributed activities as well as decision making – in both time and in space – and can be regarded as complex, the ABS approach is highly appropriate for these types of systems. 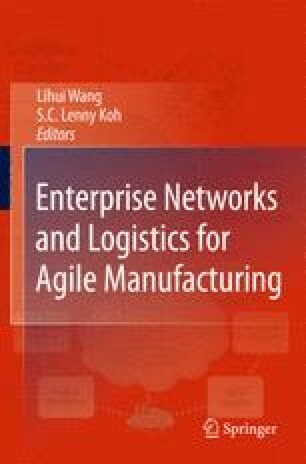 The aim of this chapter is to present a new framework of applying ABS and simulation-based optimisation techniques to supply chain management, which considers the entities (supplier, manufacturer, distributor and retailer) in the supply chain as intelligent agents in a simulation. This chapter also gives an outline on how these agents pursue their local objectives/goals as well as how they react and interact with each other to achieve a more holistic objective(s)/goal(s).